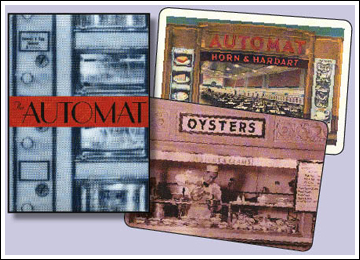 The Automat was the home of the original "fast food." Put your nickel in the slot, open the little door, and remove your turkey sandwich or blueberry pie. Taste the great memories of this venerable institution--the gleaming chrome Horn & Hardart Automat. This set of 16 ready to mail postcards feature various locations, interiors, exteriors, ads, etc.